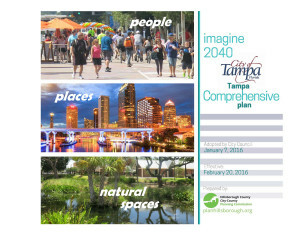 The Imagine 2040: Tampa Comprehensive Plan is designed to shape the City’s future for generations to come. And the plan is now available in an easier to view and search format online. Double-click to zoom, mousewheel to turn pages. Use controls to search, navigate, download, print or view full screen. The table of contents and index are linked, use them to easily browse specific topics.